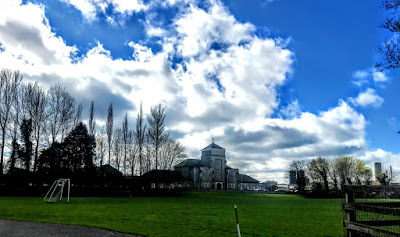 The Abbey Grammar School on Station Road in Tipperary, close to the railway station, stands on the site of the Augustinian Friary founded in Tipperary Town ca 1290-1300. The friary or abbey was dissolved ca 1540 at the suppression of the monastic houses during the Reformation. When local landowners were forcibly dispossessed in the 17th century, the former abbey lands in the hands of the Ryan family were acquired by Erasmus Smith (1611-1691) from Husband’s Bosworth in Leicestershire. 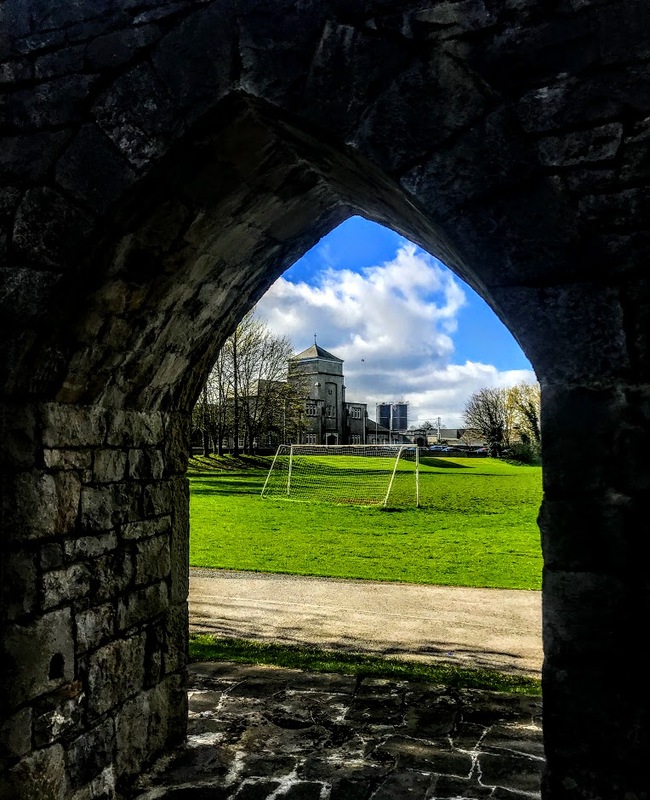 Smith used some of his new-found wealth to endow Grammar School in Irish town, including the Erasmus Smith High School in Dublin, the Grammar Schools in Drogheda, Galway, Ennis and the Abbey Grammar School in Tipperary. Later, other grammar schools founded on the same principles also became known as Erasmus Smith schools. The Abbey Grammar School was built on the site of the Augustinian abbey or friary, using some of the stones of the ruins. It opened in 1681, but was closed soon after as the town became embroiled in the Jacobite/Williamite Wars, and both the school and the town destroyed by fire in 1691. A new grammar school had been built by 1702, and the school was rebuilt again in 1820. 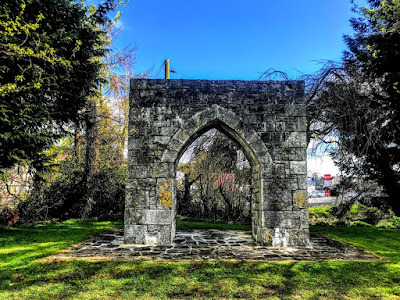 Meanwhile, the Augustinian friars continued to maintain a presence in the town until 1847, when the last resident prior, Father Nicholas Roche from Wexford, died. He is buried in the grounds of the Roman Catholic parish church. A sustained campaign began in Tipperary in the late 19th century, demanding a Roman Catholic share in Erasmus Smith’s educational endowment. In Tipperary, a leading figure in this campaign was Father David Humphreys (1843-1930), the Roman Catholic curate in the town in 1885-1895. The ‘Abbey Boys’ memorial in Saint Mary’s Church, commemorating former pupils who died during World War I, illustrates how the Abbey Grammar School in Tipperary continued to serve mainly the Church of Ireland community in the wider area, although the school always had Roman Catholic students. Other past pupils included Archbishop Michael Slattery (1783-1857) of Cashel, the Fenian John O’Leary (1830-1907), and the historians and writers Standish James O’Grady (1846-1928), Goddard Henry Orpen (1852-1932), author of Ireland Under the Normans, and Nicholas Mansergh (1910-1991), Smuts Professor of Commonwealth History at Cambridge University and Master of Saint John’s College, Cambridge. Because of the Irish Civil War, the grammar school closed in 1922. It was intended to reopen the school, but circumstances changed in the decades that followed. Eight years after Humphreys died, an Act of Parliament passed in 1938 divided Smith’s educational endowment between Protestant and Roman Catholic interests. The third grammar school on this site was destroyed in an accidental fire in 1941. The present school was built ca 1955 on site of the earlier school and the site of the mediaeval Augustinian priory. This school, standing in landscaped grounds, represents the mid 20th century continuation of the school founded in the late 17th century by Erasmus Smith, and parts of the 18th century building survive. The school has a central three-bay, two-storey block with a recessed central towered bay, and recessed, five-bay, single-storey wings with advanced porches at each end. There are late 20th century additions at the east and west. Other details include a cross finial and a cut limestone eaves course on the tower, finials and low stepped pediments at the porches, and roughcast rendered walls with a smooth rendered stepped plinth course. There are buttresses at the front of the central block and at porches, moulded coping and string courses at the porches, and moulded coping at the parapets of the wings. There are Tudor-arch style timber windows, a group of arch openings on the first floor of the tower, triangular-headed doorways at the central block and the porches, and a central doorway set into a slightly projecting surround with a moulded sandstone cornice and a frieze that has stucco rosettes. The eastern-most elevation of the earlier school building survives at the east, and this includes a partial four-bay two-storey wall that shows evidence of several building phases. 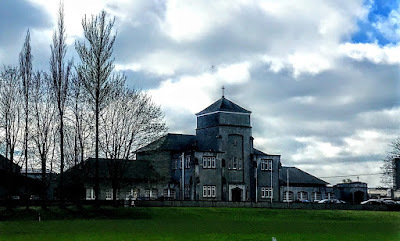 The Irish Christian Brothers managed the Abbey Grammar School until 1994. The school continues under the trusteeship of the Edmund Rice Schools Trust. In 2000, President Mary McAleese unveiled a memorial celebrating the diverse nature of the history of the Abbey School, which continues a centuries-old tradition of education on this site. The current principal of the school is John Kiely, the former Limerick hurler who was the manager of the Limerick All-Ireland title winning team in 2018. Meanwhile, the last trace of the Augustinian Friary was destroyed in 1958, but a newly-built arch marks the site of the former friary.